Jerry Hall, an accomplished entrepreneur and small business owner, is known not only for the quality of the services he provides but also for his dedication to the communities he serves. Born and raised in the city of Atlanta, Hall joined the United States Army at the age of 17. He served for three years and was a member of the 82nd Airborne. Upon his return to Atlanta, he worked in an unbearably hot plastics molding factory. It was then that he realized air conditioning was a promising career choice. Always one to make his own way, Hall landed a job as an HVAC helper, went to trade school at night, and started his first HVAC company in 1983. Hall sold his first company, All American Air Conditioning and Heating, in 1997 and spent the next few years enjoying his children and mastering the game of golf. However, his entrepreneurial spirit eventually won out, and Assured Comfort Heating and Air, Inc. was born in 2002. With the addition of a plumbing division in 2015, Assured Comfort employs more than 70 and has serviced nearly 20,000 homes in Metro Atlanta. Community involvement, especially helping military families, children in need, and supporting the local schools comes naturally to Hall. In 2004, local troops were deploying to Iraq and he promised those fine soldiers they would never have to worry about their family’s comfort. To this day, he provides free services to those deployed to war zones. In fact, Hall has since become deeply involved with the local Soldiers’ Angels organization and is now on the national board of directors. Hall and Assured Comfort are staunch supporters of the local schools. He is on the board of the Douglas County Public Education Foundation while Assured Comfort rewards improving students, showers teachers with appreciation, and supports the athletic programs. Hall and his company also give to various organizations whose missions are to help children in need: Kate’s Club, SafePath Children’s Advocacy Center, and the Boys and Girls Club are just a few. Assured Comfort employees are encouraged to give back as well. Because of their enthusiasm and dedication, Fostering Faith, a non-profit that serves children in foster care, was created and has been going strong since 2011. Hall is committed to doing the right thing for his clients, employees, and the community. He is a member of four Chambers of Commerce, several trade associations, and the recipient of many awards. Most notably, Assured Comfort was named a 2018 Cobb Chamber Top 25 Small Business of the Year, name the 2014 Douglas County Chamber of Commerce Small Business of the Year, received the Conditioned Air Association of Georgia Community Service Award, the Fulton County DHS Corporate Engagement Award, and many more. Hall, a father of four (all of whom have worked in the business), says what he loves most about his business is watching his people grow, educating his clients, and serving the community. In general, he is passionate about making a difference in other people’s lives. Lead trainer David Yeager is no stranger to the HVAC industry. Born in North Carolina and raised in Virginia and Maryland, David has been around the heating and air conditioning industry since an early age. His father’s work as a Stationary Engineer in the Navy sparked an interest that continues to this day. Fresh out of high school in 1996, David gained employment with a small HVAC company on the eastern shore of Maryland. He started out as most do in this field, as an installer. Seeking to quench his thirst for knowledge, he worked during the day and attended the local technical college at night. David’s attention to detail and desire to perform at the highest level possible led him to take every certification course available. It wasn’t long before he caught the eye of larger HVAC companies and was offered a service technician position. His journey in learning exploded, as did his career. He eventually became the production manager for one of the largest Trane distributors in Maryland. 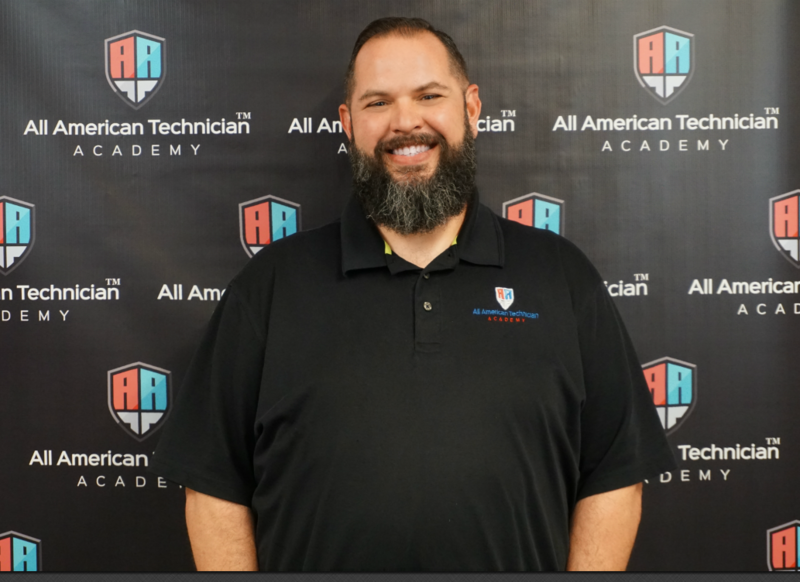 As David became increasingly involved with finding new talent for the HVAC industry, he noticed common weaknesses among young technicians fresh out of technical school. He made it a goal to work with these techs to help them understand and use the knowledge they had gained. David continued to soak up as much information as possible to help him find and train the right people. He earned several factory certifications and became a Beta tester for Honeywell. With progress comes change…in 2013 David moved his family of nine to the Atlanta area to work for Jerry Hall and Assured Comfort. Mr. Hall quickly took notice of David’s ability to teach and mentor the other technicians. David held several key positions at Assured Comfort managing service technicians and installers and helping them keep up with an ever changing industry. 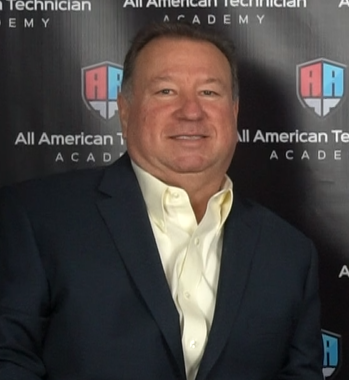 David was instrumental in building the AATA training facility and a natural for teaching the AATA troops. He takes great pride in seeing his students achieve their goals and ensuring they gain the knowledge and confidence to provide industry-leading service. 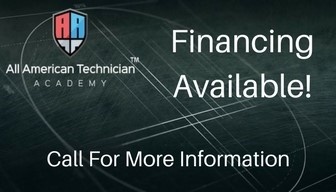 If you want your HVAC career to take off, come and learn how to succeed from the experts in the industry. Jerry Hall and David Yeager will share their industry secrets to success and teach you how to reach your full potential. Don’t hesitate to enroll, classes fill up fast!